Zhejiang Infinite Carbon Fibre Co., Ltd, established in 2011, located at Jiaxing City, Zhejiang Province, east of China, is a Carbon Fibre Hockey Sticks manufacturer and wholesaler. Although, we have engaged in this industry only for one and half years, we have developed many style of hockey sticks with various curve and flex. With excellent performance of the sticks, our products are welcomed in Canada, USA and Northern Europe market. We will invest more in future to develop more new products and enhance the quality, and do OEM for our customers. From the beginning and always, we adhere to integrity, high quality and superior service, and see them as cornerstone of our business. 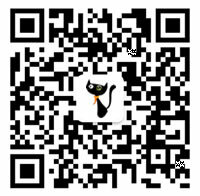 Any client interested in our products, please contact us, we will try our best to service you. We are looking forward to cooperate with you.